The Self-Regulated Teacher’s favourite school day of the year is right around the corner: Student Led Conferences are on Thursday, April 20, 2017 this school year. Christy and I have been holding Student Led Conferences (SLC) for many years; in fact, my first Student Led Conference as a teacher was here in West Vancouver at Chartwell Elementary School in 1990 when I was teaching Grade 3. We’ve gradually refined our practises to make it perfect for Kindergarten but the core tenets of the Conferences has always stayed the same: to provide an opportunity for students to communicate learning to their parents in a meaningful format; self-reflection for students to identify their personal accomplishments, strengths and areas for improvement; give parents an insight into how their children learn; and an inside look at student work, their classroom and school. We’ve written extensively about Student Led Conferences at theselfregulatedteacher.com in 2015 and 2016. You can also read about Student Led Conferences in my Grade 3 classroom during my Chartwell days in Evaluating Literacy: A Perspective for Change (1991) by Robert J. Anthony, Terry D. Johnson, Norma I. Mickelson and Alison Preece. Our Kindergarten Student Led Conferences are a twist on the traditional Student Led Conference. In the years we were teaching Grades 1-4, each student would welcome their parents to his or desk, where a curated selection of work would be waiting in a file. 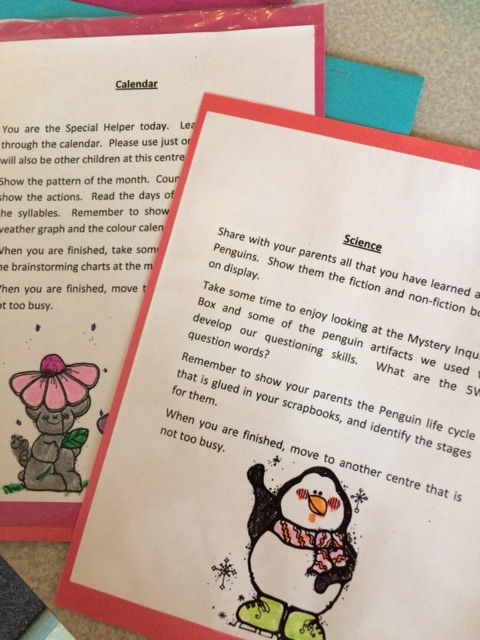 A letter of welcome for parents, plus a class created agenda, provide structure for the Conference time. In Kindergarten, however, we use a Centre approach, in much the same way we use Centres during the morning Activity Time, Math Centres, or our focus afternoon Centre Time. 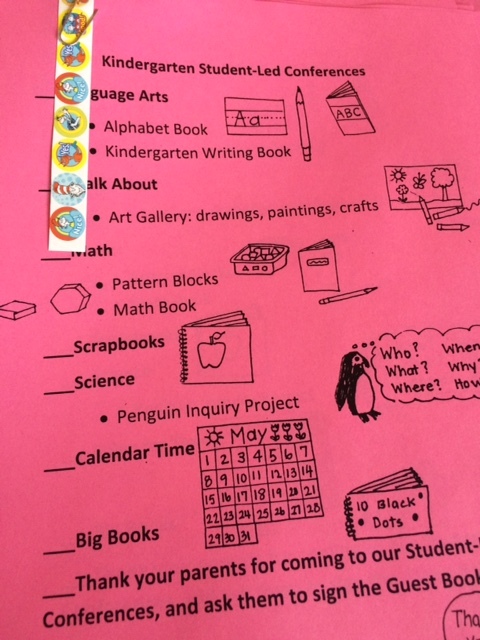 Parents can expect to see an Alphabet Centre, Math Centre with tasks and participate in the daily Calendar activities as part of our Student Led Conferences. Kindergarten is a special grade, the first formal schooling for most children, the first Student Led Conference for most parents, and it’s important for us to set the tone and expectations for how the Conferences are conducted because you’ll be enjoying them for the next eight years while at Ridgeview. As one of two informal Communicating Learning opportunities, we want this to be a positive and successful experience for you and your child. The format will be different as you move through the grades, but its value is always the same: priceless. 1. Sign-up for your child’s Student Led Conference. 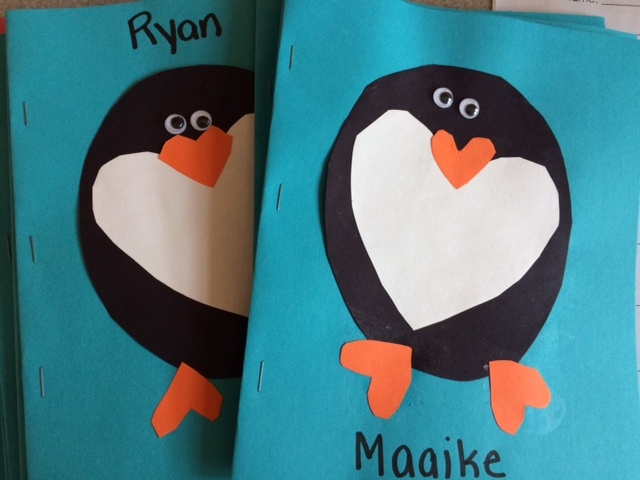 In Kindergarten, we have a limited number of families we will host in our classroom for each time slot. Kindergarten sign-up sheets are posted outside the classrooms; all other Grades are posted in the main hallway near the Library. 2. Arrange for care for your other children, particularly toddlers and preschoolers, so you can focus on your Kindergarten child. Older children can wait outside on the playground. 3. Arrive on time for your Student Led Conference and remember to bring your child with you. This Conference is for you and your child. We’ve had several instances where our students were left at home with a babysitter, on the playground or at the childcare centre. 4. Give praise and specific, positive comments to your child eg., “I like how you used a variety of colours in your drawing;” recognise that your child might find some tasks difficult so encourage them to keep trying their best. 5. Be mindful of your Conference duration and gently remind your child when it is time to go; other families are waiting for their turn. 6.Keep socialising with other parents to a bare minimum. Your focus is on your child. 7. Be respectful of the SLC of other students and their parents by keeping your own child close to you at all times. 8. Refrain from engaging your child’s teacher in a discussion about your child’s progress; the teacher is supporting all students during the SLC process and has many jobs to do. If you would like an interview, make an appointment on another day for a mutually agreeable day and time. 9. This goes without saying, but our cell phones are a distraction. Please support us by turning off and putting all electronic devices away. Please do not take phone calls during your child’s conference: it’s disrespectful of the preparation we’ve done with your children; the other families; and most importantly, your children who are very, very excited to be the centre of your attention to share their learning with you. 10. Please do not bring any hot drinks into the classroom. It’s not safe to be carrying a hot drink around with so many small children present, and for the precious schoolwork which we have out on the tables in case of spills. Our Ridgeview Principal, Mrs. Valerie Brady, has also written about Student Led Conferences. You’ll find an excerpt from this post on the Principal blog. Thanks for the tips! Looking forward to it! We’re very excited for your little one to have her Conference with you on Thursday! We know you’re going to love it!